I don’t know if it was the narrator or the fact that this is number six in the series and I have only read the first one, but it just seemed to go on and on and I felt oppressed under the weight of it. Not until the last two chapters did I really enjoy it. 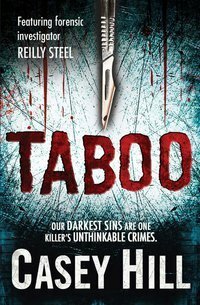 While the premise is good and I did like the ending I was glad when it was over. That being said, I plan to find earlier books in the series and give them a try. I don’t like to give up on a good murder wh0-done it! Accidentally came across this gem while searching for something free to listen to on Overdrive and it’s a shame this was the only one of this series they had because it really is a good mystery while incorporating the sights and sounds of the Irish countryside. It shows that no matter where you are in life circumstances can change in the blink of an eye and change your entire life. A great read for any time and any one. 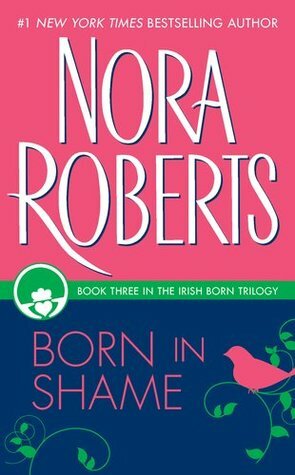 A wonderful conclusion to a romantic Irish series by Nora Roberts. No one can tell a tale the way she does. Fantastic read. When the harsh storms of winter descended upon western Ireland, the locals stayed indoors – and visitors stayed away. Brianna Concannon’s bed-and-breakfast became a cold and empty place. But that was fine with Brianna. She enjoyed the peace and quiet, even when the icy winds howled at her window. But this year, cool, capable and thoroughly domestic Brianna is expecting an unusual guest – mystery writer Grayson Thane, from America. A restless wanderer with a painful past, he plans to spend the cold winter alone. But sometimes fate has a plan of its own. 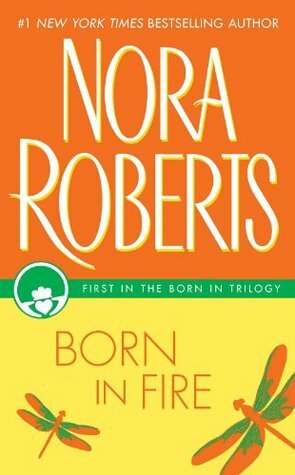 I didn’t think this next installment of the Born In Trilogy would be as good as the first, Born In Fire, but it was, if not better. Grayson is so closed off and mysterious and Brianna is so cool, calm and collected that you’d never see them as a pair, but the old saying that “opposites attract” is true in their case. Their chemistry was anything but ice-like. 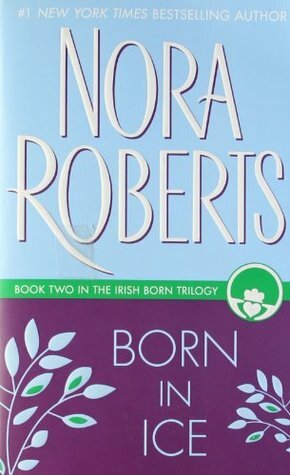 I love this series and have started on the third and final book in the series and I can’t wait to see the way the author, Nora Roberts, ties up all the loose ends. I am a sucker for a book with its setting in Ireland and even better when I have the audio book version and can listen to the narrator speak with an Ireland brogue, as was the case. It’s a romance with fire and chemistry between Maggie and Rogan, and with a bit of dysfunctional family thrown in. Nora Roberts is always a winner in the field of romance stories and she out did herself this time. 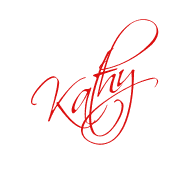 Loved it!!!! 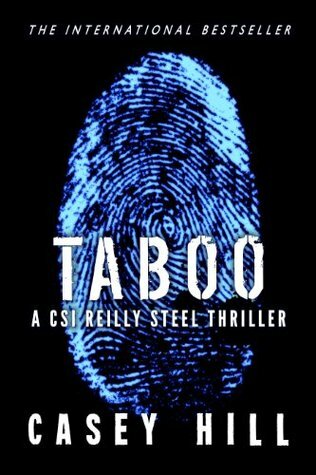 The first forensic thriller in a police procedural crime fiction mystery series for fans of Patricia Cornwell, Kathy Reichs and Karin Slaughter, or TV shows CSI and Criminal Minds. This is a great ” who done it” for any murder mystery fan. I’m looking forward to reading more of this series. New York Times bestselling author Joy Fielding tells an unforgettable story of a newly divorced woman attempting to heal her heartache, only to find herself on a desperate search for her daughter.Fifty-year-old Marcy Taggart’s life is in shambles. Two years ago, her twenty-one-year-old daughter, Devon, perished in a canoeing accident. Her body was never found in the icy waters of Georgian Bay, and as a result Marcy has never fully accepted her death. She continues to see the young woman’s face in crowds and has even stopped strangers on the street, certain she has finally discovered her long lost daughter.Now in Ireland, on what was originally intended to be a celebration of her twenty-fifth wedding anniversary—if, that is, her husband had not left her for another woman—Marcy yet again thinks she sees her daughter, casually strolling past her on the sidewalk. So begins Marcy’s desperate search to find Devon, to find herself, and to find the disturbing truth that might, in the end, be her only salvation. 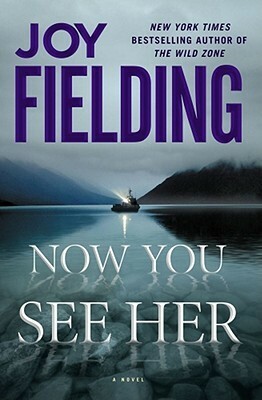 Now You See Her vividly displays Fielding’s rare talent for creating the kind of tension, suspense, and compelling heroines readers crave. Riveting from start to finish, it’s one fans won’t want to miss. I chose the audio version of this story because I found it for a good price and I knew right away that I have made a good decision. The story takes place in Ireland and the narrator,Justine Eyer, had a delightful musical quality to her voice and her accent was beautiful l and she made the story come alive. If you enjoy a good mystery, a thrilling turn of events and scenic descriptions of faraway lands I highly recommend this book in audio. I knew I was in trouble when I heard (this was an audiobook, thankfully a short audiobook) “fiddle music” behind the voice of the narrator. Bad, just bad. That’s all I’m going to say.